For over two decades, DHS has empowered customers to succeed with smart, easy to use and innovative RIM solutions. 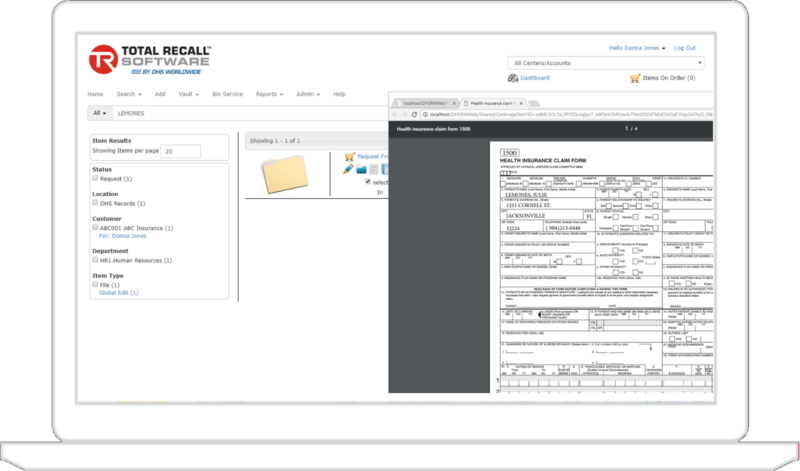 More than 1200 operations around the globe have trusted Total Recall software to run their business. The only solution available which covers all RIM business lines (i.e. vault, shred, imaging, and records). Hundreds of new features added each year focusing on saving time, reducing costs and increasing profits. The Envision Client Web software represents the next generation of RIM technology. Provides users the ability to perform powerful searches with the use of a simple “google” search bar from any device or browser. Clients can manage hard copy, data protection, destruction bins services and digital records request. Manage full chain of custody with barcode scanning utilizing Zebra Windows or Android OS supported devices. Send and receive pick/driver scan jobs wirelessly using WIFI or cell data plan. Total Recall mobile scanning application support records, destruction and data protection (vault) services. 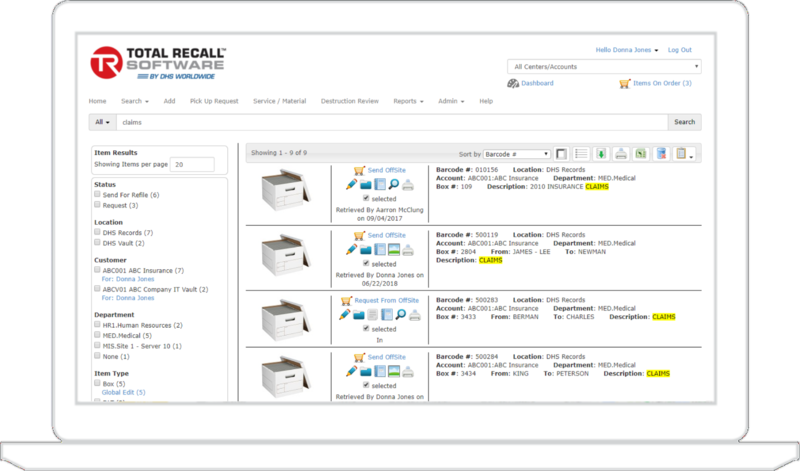 In addition to physical records management, Total Recall supports managing images such a PDFs, Tiffs and electronic records (i.e. excel, word). Clients can view images online and request physical records to be digitized. Integrated billing options include per page, time based and recurring models (i.e. digital storage). One Turn Key Solution for CRM. Location and Service Tracking. Complete Chain of Custody. Manage images such as PDFs. Electronic records (i.e., excel, word). View images online. Automated Recurring Services and Billing. Track Movement of All Records. Customer, Management, Daily Operations, Accounting and More. Quality Control & User Security.